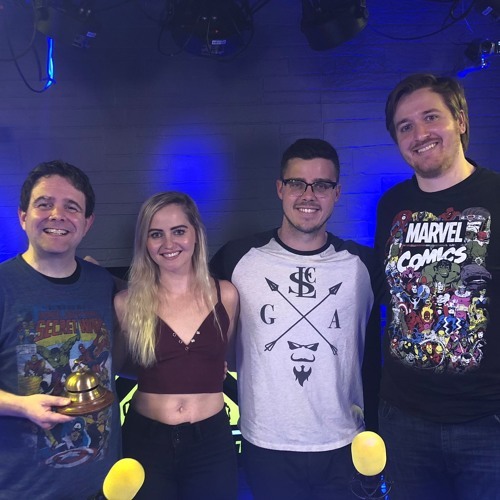 Christian, Agent Starling and Captain EO are in studio with Xia Anderson to break down "Captain Marvel" as a film, plus a wider discussion on its reception by different segments of fandom. Plus, Bladtcast Super Fan Jennifer Yard Skypes in with her thoughts on the film, too! Everyone also discusses their reactions to the most recent trailer for "Avengers: Endgame". Download Bladtcast #317 -"What A Mar-Vell-ous Night For A Moondance: A Captain Marvel Review (Part One)"
Users who like Bladtcast #317 -"What A Mar-Vell-ous Night For A Moondance: A Captain Marvel Review (Part One)"
Users who reposted Bladtcast #317 -"What A Mar-Vell-ous Night For A Moondance: A Captain Marvel Review (Part One)"
Playlists containing Bladtcast #317 -"What A Mar-Vell-ous Night For A Moondance: A Captain Marvel Review (Part One)"
More tracks like Bladtcast #317 -"What A Mar-Vell-ous Night For A Moondance: A Captain Marvel Review (Part One)"